The Cape Region’s beaches are the primary reason tourists visit, and it appears Rehoboth and Dewey will be welcoming guests on their beaches for years to come. 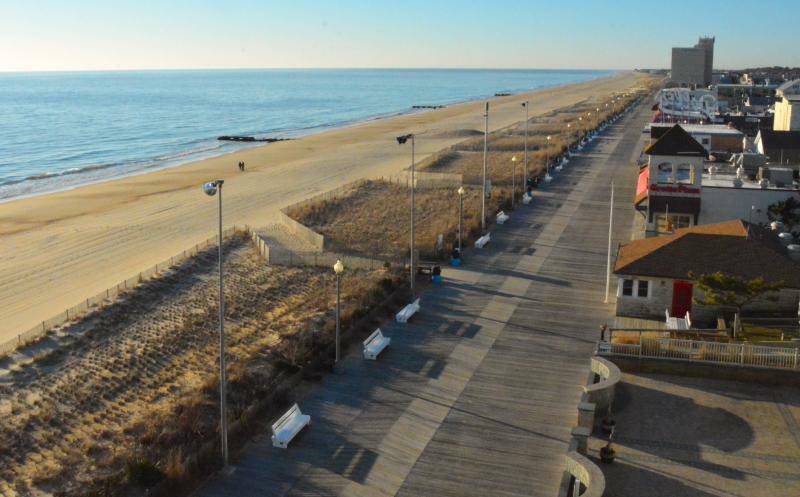 In an email March 11, Stephen Rochette, spokesman for the U.S. Army Corps of Engineers, said beach replenishment projects in Rehoboth and Dewey are on track to start in the fall. He said he expects the contract to be awarded in August or September, with the timing of construction dependent on dredge availability and other factors. Beach replenishment is a 50-year program, currently about halfway to completion. With the exception of cost share, 65 percent federal and 35 percent state, Rochette said it’s too early to know exactly how much sand will be moved. Project costs and duration have not yet been set. The most recent beach replenishment, when dredged sand is pumped on shore to raise the beaches, took place in fall 2016. Rochette said between Rehoboth and Dewey, 620,805 cubic yards of sand were pumped at a cost of about $11 million. Michigan-based contractor Great Lakes Dredge and Dock has performed the last two beach replenishments. Rehoboth Mayor Paul Kuhns said sand moves along the shore, so it must continuously be replaced. He said the city is fortunate because the ocean, beach and Boardwalk are essential to tourism, which is the engine that drives the community’s economy. “Replenishment is extremely important to the city’s livelihood,” said Kuhns, adding the city will be working with Delaware Department of Natural Resources and Environmental Control as the schedule is determined. In a March 6 email, Dewey Mayor T.J. Redefer said Mike Powell, DNREC Shoreline and Waterway Management program manager, told the Association of Coastal Towns the state had the necessary funding to move forward with replenishment planning. According to Redefer, Powell said the Army Corps of Engineers already has funding from the state and was moving ahead on project designs and bid preparations. Rochette confirmed the accuracy of Redefer’s statement. More recently, March 13, Redefer said beach replenishment is important to coastal Delaware. “By making this commitment to our beaches, we protect what we love about Coastal Delaware for the future to enjoy, and together we also build upon the resort industry which is critical to the financial success of all of Delaware,” said Redefer. Editor’s note: The online story has been updated to include comments from DNREC officials received after print publication April 2.